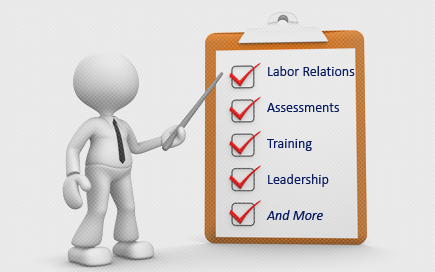 Labor Relations News Update September 8, 2014 | Oliver Bell, Inc. Unions and other third parties have never before so heavily used public embarrassment as a means of organizing employees. The key to union organizing is to find a disgruntled employee who will serve as a leader and capitalize on existing workplace problems. These problems are typically compounded by communication breakdowns and ineffective supervisors. Surveys show that the most divisive workplace issues are a sense of unfairness, discrimination, an unsafe workplace, and a sense that the employer does not care about employees. But increasingly, unions do not wait for these issues to develop. They may create their own “issues.” This strategy partially explains the increase in wage-hour and related class actions, immigration and national origin complaints, and OSHA safety-and-whistleblower investigations. The need to create issues does not alone explain the increase in union efforts to publicly embarrass employers, including by making claims such as “environmental racism,” need for “a living wage,” “subcontractor safety,” and mistreatment of overseas workers. Unions are using public embarrassment and related legal claims in an effort to force an employer to “voluntarily recognize” a union without the necessity of an election. Unions have not yet fully obtained their political Holy Grail of card check recognition, and they do not want the typical 42-day campaign period which allows the employer to share its side of the story. Thus, some unions would prefer to make life so miserable for employers that they simply accept the union’s claim that the union represents the majority of employees. And if not, since the union is not seeking an election, the campaign may drag on for years. UNITE-HERE’s attacks on the Hyatt Corporation is an excellent example. The union created a coalition of third-party groups and filed numerous legal claims, publicizing the company’s supposed faults, which obviously discouraged guests and groups from using the properties. The union supported studies which purported to show that housekeeping employees suffer grievous ergonomic injuries because they were forced to clean too many rooms. The union emphasized that many of the housekeepers were minorities, then orchestrated the filing of dozens of highly publicized OSHA ergonomic complaints throughout the country. The head of OSHA even wrote a public letter to the company criticizing its practices. Trucking and logistics employers have similarly been barraged by safety claims. Some unions have attacked the customers of the companies that the union has been unable to organize. In one case, handbillers followed bakery delivery trucks to stores and claimed that the bakery’s products violated health standards. An even more despicable approach involves attacking customers who purchase food, wine, spirits, and beer from a distributor. One union researched the Health Department records of entire restaurant chains and then distributed handbills vaguely claiming that the restaurants had violated health codes. Any restaurant concept with hundreds of locations has probably received an unfavorable Health Department report at some time or other. Would your customers become upset if handbillers distributed leaflets showing rats and cockroaches crawling out of the restaurant’s food because the union had a dispute with you? Regularly conduct surveys of employees and management, and compare the employees’ perceptions with those of the managers? You will typically find that your perception of workplace satisfaction and issues differs markedly from the employees. Make sure your supervisors are not “accidental supervisors” who were promoted because of their skills and who never received meaningful training in managing people. Conduct state and site-by-site audits to determine unique vulnerabilities. As an example, California mandates certain breaks and lunch periods, which generate hundreds of class actions. California also allows third parties more access to company property than do other states. Learn about the U.S. Labor Department (DOL) emphasis programs on contractors, temporary, and leased employees. Be aware that the DOL and other governmental entities are trying to hold both the company and its logistics partners liable for violation of immigration, wage-hour, or OSHA requirements. Review your policies on no solicitation/no distribution, electronic communications, corporate ethics and civility, confidential information, property control, and similar areas. If you have not done so in the last six months, it’s likely that the NLRB will conclude that at least some of your policies violate the law. Train sales and customer-service personnel to be alert to third-party attacks on your customers. Have a media plan and public-relations personnel available to assist you with attacks designed to harm the Company brand. Be prepared to calm angry customers and respond to harassment at all your sites. Make sure everyone, including valet, front desk, and receiving personnel know what to do if they encounter pickets or handbillers. Be aware of OSHA’s focus on routine items: blocked exits, electric cabinets, fire extinguishers, and routine electrical violations within your industry, which can be used to generate costly “repeat” citations. The decades-long decline in union membership does not mean they have gone away. Far from it. They’re still around, still active, still craving new members, and constantly thinking up new ways to organize your properties. On Sept. 30, he will take that argument before the Colorado Supreme Court in alawsuit challenging his 2010 firing. For years, courts in Colorado and across the country have ruled against marijuana users, saying that companies have the right to create their own drug policies. But legal experts say that if Mr. Coats prevails — he lost 2-1 in an appellate ruling — his case could transform how businesses must treat marijuana users. A positive test result can derail a career, say people who have been fired for marijuana use. In New Mexico, a physician assistant named Donna Smith who had used medical marijuana to treat symptoms of post-traumatic stress disorderlost her health care job in February after failing a drug test.